At 40 years of age and the Italian National team not qualifying for this edition of the World-Cup, Buffon’s dream and a chance at the sought-after trophy is all but over. However, the World-Cup is a proving ground for every player who wants to make a name of himself, to outshine everyone in the field and rise to the occasion of their nation’s call. Greats like Buffon and Casillas have done it and proved that a goalkeeper’s job is not a cake walk. Quick reflexes, pinpoint passing, charging out of the box and aerial strength are necessary requirements of the modern-day goalkeeper. While the likes of Neuer, De Gea and many others have proven their mettle in the past with stellar performances, we are going to look at some goalkeepers who have recently stood out or are in contention for a place in the starting XI for their respective national teams during this World-Cup. Courtois joined Chelsea in the summer transfer window of 2011 for a reported €9 million from Genk, signing a five-year deal. Within weeks, the then 19-year-old was shipped to Atletico Madrid; to replace the Manchester bound David de Gea. The Belgian spent three seasons on loan with the Los Colchoneros, in turn developing as a world-class keeping talent. He won the La Liga, Copa del Rey and the Europa League along with a runners-up medal in the 2013-14 Champions League final. Courtois' fine form saw him return to Stamford Bridge in 2014, having impressed Jose Mourinho with his loan stint in the capital of Spain. On 11 September 2014, Courtois signed a new five-year contract with Chelsea, keeping him at the club until 2019. With his impressive display in goal, he replaced the veteran Peter Cech and has gone ahead to win the Premier League twice in three years and also a League Cup. 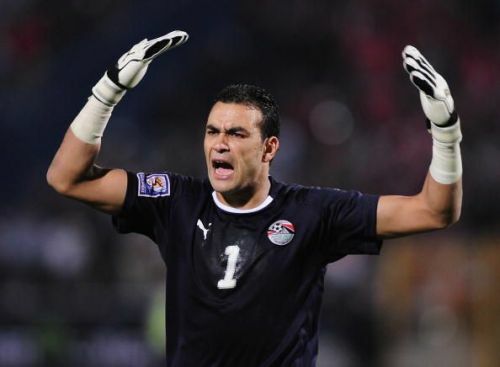 Individual accolades include the likes of La Liga Goalkeeper of the year and the Premier League Golden Glove along with appearances in the Champions League Team-Of-The Season and accolades in his country for being a good sportsperson. At just 25 years of age and having won major trophies in Spain and England, Courtois has had a great career so far. However, with the recent form of Chelsea and the possible absence of Champions League football has unsettled Courtois, who according to multiple tabloids, is looking for a new club. With reports across Europe stating his discomfort at Chelsea, his family being settled at Madrid and the likes of Real Madrid and PSG lurking over for his signature, the World-Cup seems a good place for him to display his talents and Chelsea should be wise to continue making Courtois contract offers good enough to eventually convince him to extend his stay at Stamford Bridge. 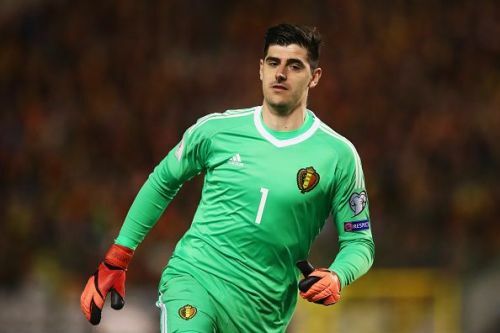 In a Belgian squad vouched by many to reach the concluding phase of the World-Cup, Courtois can be sure that opportunities shall come knocking on his goal post. A 48 team World Cup in 2026 - How has the World Cup format changed since 1930?